Hello my Stampin' friends. Bonjour et bienvenue mes amies. Today I am sharing a video tutorial to make this beautiful and simple card using a very versatile stamp set from Stampin' Up! And you can save money on it during November 2016 - there's a special offer to save 25 % on the Tin of Tags set. Now of course it co-ordinates perfectly with the project kit Tin of Tags - but you can use it for so much more ! Aujourd'hui j'ai un vidéo-tutoriel pour montre comment on fait cette jolie carte avec le set de tampons Coffret d'étiquettes. C'est un set de tampons pour un kit de projet, mais on peut les utiliser pour faire beaucoup, beaucoup de jolies choses ! Pendant novembre 2016 vous pouvez bénéficier de 25% de remise sur le set de tampons, donc dépêchez-vous !! My measurements are listed below and you can watch my video tutorial HERE on YouTube. Vous pouvez regarder le vidéo-tutoriel ICI sur YouTube. 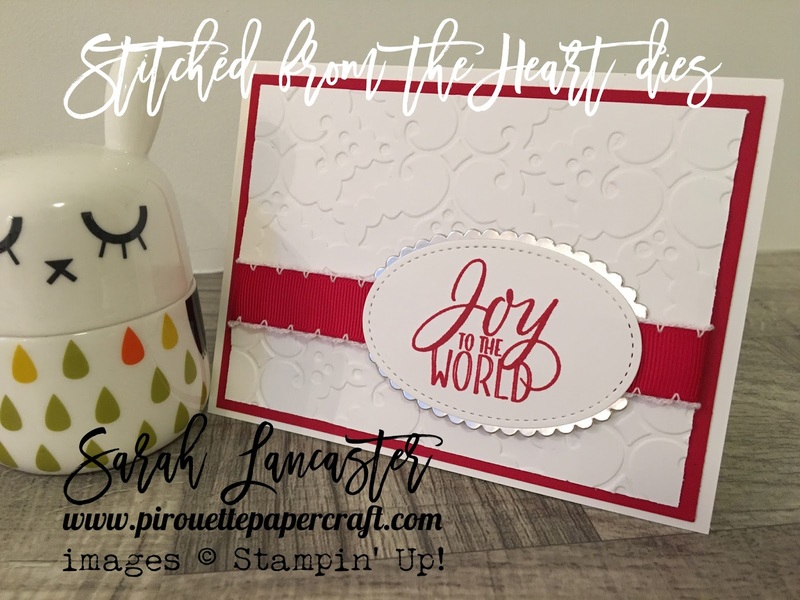 The main products to make this card are listed below too, just click on them and you will be transported through cyberspace to my online Stampin' Up! store where you can shop to your heart's content. 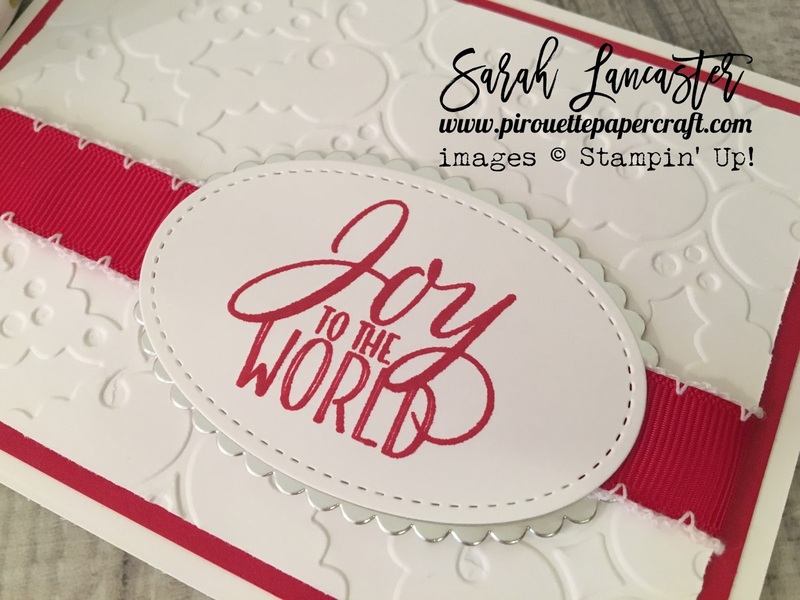 Remember to check out the Online Extravaganza bargains this week and the other stamp sets that are reduced for November along with the amazing Stitched Shaped framelit dies.